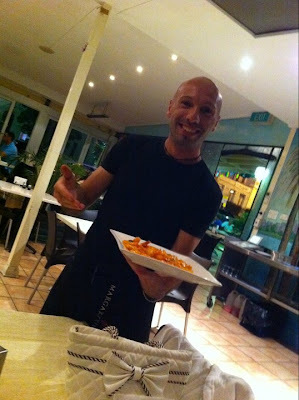 Our friend, Tim, introduced us to this restaurant before I started this blog and we had a good impression of it. This time around, we decided to explore a bit more on the variety of menu they have. There were eight of us and we decided to get a four-person Antipasto, 2 large pizzas, a salad, Gnocchi, and Cannelloni. At the end of the day, they were more than enough to feed all of us. Interestingly, the pizzas came in first, Lungomare, to be exact. 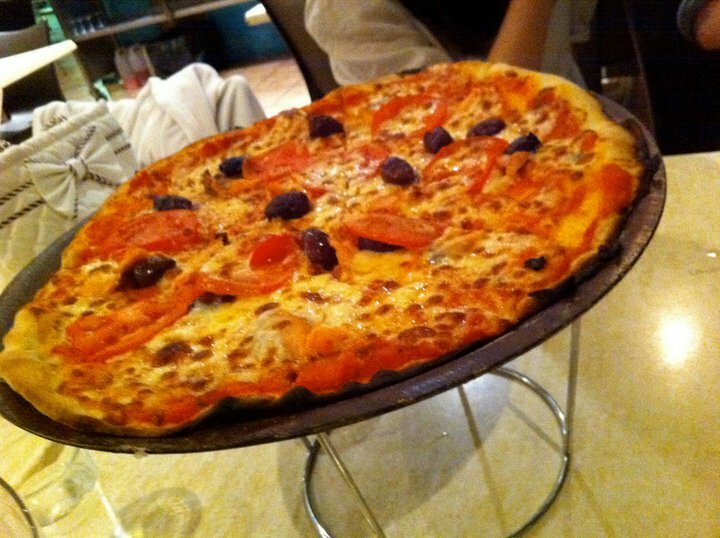 This gourmet-range pizza had the freshest of ingredients with Salmon as the main attraction. The next one was Leichhardt Special. This one was very similar to one of the famous Pizza chains, Super Supreme. All of their pizzas are cooked in wood-fire pizza oven but somehow the Lungomare was much better than Leichhardt Special. The next four dishes came at almost the same time, but luckily they were in the correct order. 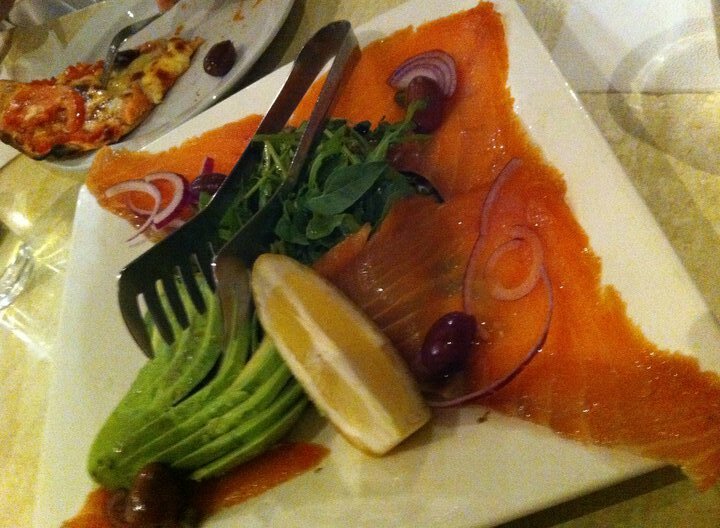 Salmon & Avocado Salad gave us a fresh and healthy salad with a hint of olives. What I like about it was the fact that there was a lot less ‘greens’ on the plate. The only salad in it was my all time favourite, Rockets! The Antipasto was a little bit different. They had a fixed price for the first one, but there was a far less incremental fee for more than one portion. 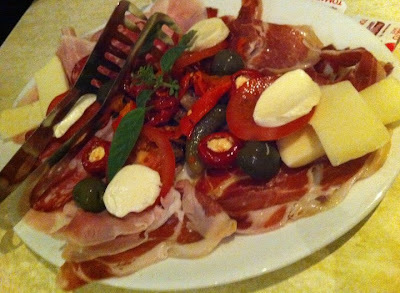 Technically speaking, Antipasto is the Italian starter for a dinner. It should have been the first dish that hit the table. 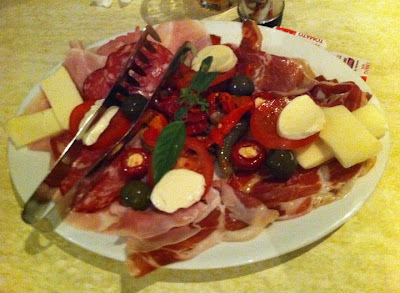 It’s an assortment of cured meats, variety of cheese, and veggies. The combination of it creates an excellent and fresh antipasto. The last two dishes were also great. 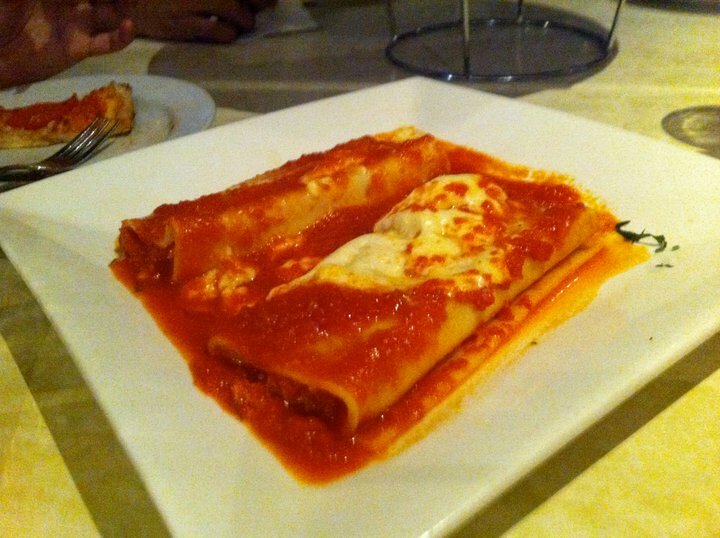 First was Cannelloni. Two rectangular pastas filled with ricotta cheese (and possibly spinach and minced beef). It would be a good dish if the next one were not considerably better. Gnocchi Prawns and Asparagus was the pinnacle for the night. 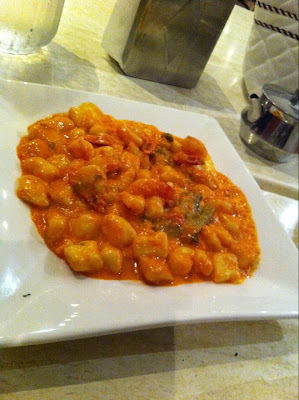 The combination of ultra-soft gnocchi and juicy prawns, served in orange-looking tomato sauce, was exquisite. By now you might be wondering who this Andrea is. He is our waiter for the night. Claimed to be from both side of Italy, this Interisti truly entertained us with his energy, enthusiasm, and humour. With his efforts, this restaurant deserves an 8.0! The final verdict: Everything that we ordered was great! 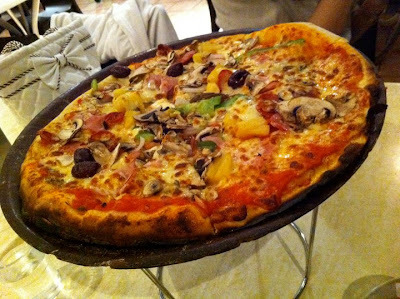 From the perfect crust pizza, the invigorating Antipasto to the admirable Gnocchi! To top it off, the waiter gave us the perfect night with his positive personality. Leichhardt is also known as the Little Italy in Sydney. It is famous for its Italian Quarter. 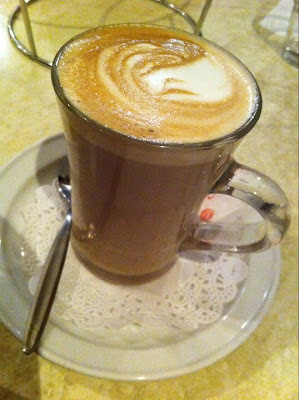 Gioia is located on Leichhardt’s main street, Norton. They also have few private parking spaces, so if you’re early, you might be lucky!